In the 40s and 50s this symphony was considered to be the great american symphony! It is rarely heard today. What happened? Is there a great american symphony? I understand Naxos is recording all of Harris' symphonies. The first time I heard it was on a Mercury LP directed by Dorati. It was a blazing performance, not equaled by newer recordings. smitty, I have loved this wonderful Symphony for many years. 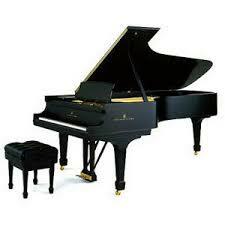 The main melody is so sweepingly beautiful, that it always stirs my heart. I have the Dorati and it was my introduction to the score, but, Leonard Bernstein gives the most beautiful account of this great Symphony on DG...and if sound does not matter, the legendary Serge Koussevitsky CD is still available, mate. Jarvi and Mata have also done this Symphony justice, too on CD. Naxos is supposed to be recording a complete cycle, but, I do not think you can expect anything to be a certainty in today's CD Classical market. smitty1931 wrote: In the 40s and 50s this symphony was considered to be the great american symphony! It is rarely heard today. What happened? Is there a great american symphony? I understand Naxos is recording all of Harris' symphonies. The first time I heard it was on a Mercury LP directed by Dorati. It was a blazing performance, not equaled by newer recordings. There were/are many great American symphonies that seem to have fallen out of the repertoire - more the shame - but they are appearing on the Albany and Naxos labels, perhaps other small labels (Delos has a boxed set out and while its advertised content doesn't interest me too much - doesn't contain a representative selection of symphonies, it does contain a few by Hanson). Agree with you about this symphony, altho my preferred recording is the Bernstein on DGG. As for THE great American symphony, I'm voting for Copland III, altho his Organ Symphony stands well the test of time, in my ears, anyway. smitty1931 wrote: In the 40s and 50s this symphony was considered to be the great american symphony! It is rarely heard today. What happened? We played it a number of years back - quite a good piece..
" Is there a great american symphony?" I understand Naxos is recording all of Harris' symphonies. The first time I heard it was on a Mercury LP directed by Dorati. It was a blazing performance, not equaled by newer recordings. Bernstein/NYPO I from '61 takes the prize for me. his later recording [DG] is good too, but the eariler one is better. My first exposure to Harris's Symphony #3 (in one movement) on disc was with Serge Koussevitzky and the Boston Symphony Orchestra on a commercial RCA release. Subsequently, I got to know the Leonard Bernstein version with the NYP on Columbia Records. I'm sure MARIN ALSOP keeps it in her repertory....I have a live radio tape of her in her post-Koussevitzky prize win, with Oregon's Eugene Symphony. Great reading. She took this group out of the "regional sound." A few weeks ago, I saw a fine performance of this wonderful work with David Robertson and the BSO at Tanglewood, on an all-American program consisting also of Bernstein sym. 2 and song cycles of Thomson and Barber sung by Thomas Hampson. A very good concert, and let's hope some of the riches of American music are starting to be appreciated again. I did notice some buzzing in the audience after the Harris, and, as best I could overhear, several surprised comments along the lines of, "Wow, that was good. How come I didn't know about this piece?" And yes, it's appropros that the BSO would be returning to this music, after all Koussevitsky did to boost Harris, Copland, Piston and other American composers. I would find it difficult to describe either recording as "better" than the other. The earlier one (1961) is a gripping studio performance (17'09"), fairly typical of Bernstein's earier NYPO recordings of American symphonic music, full of drama and clearly defined rhythmic contrasts. It's an edge-of-the-seat experience. The later recording (1985) is a live performance, somewhat slower (18'28") as Lennie was wont to do in his later years, more introspective than the earlier one, beautifully played and recorded -- one of the best live performances DG ever recorded as of that date -- resulting in a very moving experience. The two recordings are examples of how a great work can be subject to diverse interpretations that are equally valuable. I wouldn't be without either. Strange, how the 3rd symphony and indeed all of Harris's music has sunk out of sight leaving hardly a trace in the repertoire of American orchestras today. (It never did figure outside the U.S.) Copland is the only American Nationalist of the '30s and '40s who's kept his place in orchestral programs, and I suppose his Symphony #3 might be thought the Great American Symphony, if only by elimination. Except that while Harris's stock was falling, Ives's was rising, and I suppose he may now be considered the American symphonist par excellence. Harris was very uneven as a symphony composer. I would place Howard Hanson, William Schuman, Roger Sessions and Peter Mennin clearly ahead of him. Charles Ives is an acquired taste. Quite a bit of his orchestral music is programmatic in content, such as his third symphony. John F wrote: Strange, how the 3rd symphony and indeed all of Harris's music has sunk out of sight leaving hardly a trace in the repertoire of American orchestras today. (It never did figure outside the U.S.) Copland is the only American Nationalist of the '30s and '40s who's kept his place in orchestral programs, and I suppose his Symphony #3 might be thought the Great American Symphony, if only by elimination. Except that while Harris's stock was falling, Ives's was rising, and I suppose he may now be considered the American symphonist par excellence. After having looked at Roy Harris. A Catalog of his Works, published by the California State University as a tribute to the composer, in 1974 (compiled by Robert Strassburg), it is readily apparent that, even during his life time, Harris's symphonies received little attention by recording orchestras. In fact, only the third symphony was recorded on several occasions. At the time of this publication, Harris was working on symphonies no. 10 "Abraham Lincoln," 11, and 12 "Pere Marquette symphony," which, to my knowledge, have not been well recorded either. John Finley Williamson, Westminster Chorus, Victor 14803/04. Since the DG Bernstein is not available, the Sony Bernstein is highly recommended, especially since the discmates are the folksy and disarmingly lovely Randall Thompson 'Symphony No. 2' and the powerful David Diamond 'Symphony No. 4'. A fabulous triumumvirate of wonderful American Symphonies from the first half of the 20th century. I have an old reel-to-reel of the premiere of the Eighth Symphony--the "San Francisco Symphony." Done, of course, by the SFSO....led by its then-music-director, ENRIQUE JORDA. This was virtually on the eve of his firing--when George Szell took ill in the middle of his guest-conducting stint (early '62), there was such a controversy (ignited, quite plainly, by SF music critic Alfred Frankenstein, who wrote Szell a letter demanding an explanation & suggesting that, to make up for it, Szell invite Jorda to guest in Cleveland the next season). By this time, Jorda had brought orchestral discipline & virtuosity level to an all-time low, and even his staunchest supporters had to pull the rug out. Jorda did produce a rather thrilling performance, but it's a performance that's forever sounding like it's about to crash & burn. Harris' daughter Johanna played the piano part. The public responded enthusiastically to Harris' exuberant three movement "Symphony 1933," with its rough-hewn epic qualities expressive of America's youthful culture.... A month later, February 1934, Columbia Records recorded it with the Boston Symphony. It was the first American commercial recording of a symphony by an American composer. In producing a composer such as this master, America has placed herself in the front rank amongs those nations who are concerned with building a music for the future. I have the pleasure of owning a version of this Koussevitzky recording, with Columbia Records. ...it had only one good movement, the second, and the orchestral parts, unlike the immaculate first symphony, had over 1,300 mistakes. It taught him a hard lesson. I don't know if there exists any recording of this symphony. I wrote that symphony when Hitler was taking over one country after another and I didn't know whether I was going to write any more symphonies or not. So, I thought it might be my last one. It is written as sort of a history of music from the beginning of Gregorian chant, leading up to the present." Its five sections played without pause captures "the dark fastness of the American soul... its despair, its defeat and triumph." Of all Harris symphonies, the Third is the work for which he received the most numerous compliments from his fellow composers, i.e., Leonard Bernstein, Elliot Carter, Virgil Thomson, Colin McPhee, followed by his next great dramatic symphony, the Seventh. I have the Bernstein version of this symphony. The Fourth Symphony is a "functional work" conceived and designed "to bring about musical collaboration between the local symphony orchestras of the United States and their local high schools, colleges, or community choruses." It relies on several US folk melodies such as "When Johnny Comes Marching Home Again," "Oh Bury Me NOt on the Lone Prairie," and a Black American spiritual song, "De Trumpet Sounds It in my Soul." It is not a master piece but I'm sure it has served the purpose for which Harris intended it. I have the Golschmann version on Vanguard. Greetings to Roy Harris from the composers of the USSR! We greet in your person [the] young music of [the] American people. Across the seas and oceans we extend you our hand in [a] sincere fraternal handshake. Long live our victory." Signed Gliere, Shostakovich, Prokofieff, Myaskovsky, Khatchaturian, Kabalevsky, Muradelli, Khrennikov, Biely. Moscow cable 1943. But this war symphony never achieved anything comparable to Shostakovich's Seventh. It was originally recorded [EDIT] by Koussevitzky, in 1943, and later recorded by Whitney's Louisville and Steinberg's Pittsburgh orchestras. Symphony no. 6 (1944) is based on Lincoln's Gettysburg Address. The original recording was with Clarke and the Pacific Symphony Orchestra. Perhaps the reason why this symphony has not been recorded more often is that, notwithstanding his fine technique, Harris failed to produce the kind of music that ought to measure up to this momentous Lincoln Address. My version is the original recording with the PSO. The work was conceived as a dynamic form with an uninterrupted time span of 20 minutes. In one sense it is a dance symphony; in another sense it is a study in harmonic and melodic rhythmic variation. The Eight (1962) is a religiously inspired work, "an incandescent setting of St. Francis' Canticle of the Sun," including an important piano part for Harris' wife. The Ninth (1962) was inspired by the Preamble of the American Constitution "with Walt Whitman providing three fragments of poetry for the fugue subjects." The Tenth (1965) is "an immense commentary on the life and words of Abraham Lincoln in five movements, written for chorus, brasses, two amplified pianos and percussion. The Eleventh (1967) "reflects the dilemma and strife of contemporary society, but ends on a note of hope for the future." The Twelfth (1969), or "Pere Marquette Symphony," "in two parts, each the length of a Mozart Symphony, is scored for tenor solo, speaker and orchestra." It evokes the faith of Jesuit Father Marquette "who discovered the central wilderness portion of the United States." The scope of the symphony is epic, and the tone heroic... In part II, particularly, there are suggestions of the external world in the form of stylized birdcalls and forest noises that summon up the Great Lakes wilderness of three hundred years ago... Part I, however, is the record of an interior journey, what one theologian described as "the positive tropism of a soul toward God." ... Running through the piece like a ribbon binding it together is a marvel of the Gregorian Chant... one of the greatest melodies ever conceived. Source: Robert Strassburg, Roy Harris. A Catalog of his Works, California State Univ., 1973. There is a fine modern recording of Symphony 2 with the Albany SO conducted by David Alan Miller on an Albany/Troy SACD Hybrid, together with Morton Gould's Symphony 3. It's not a mature work, but it's not all that bad either. Yet nothing Harris wrote reaches the level of his Symphony 3. Although much younger than he, Johanna Harris was his wife. She out lived him and was married for a brief time to her student, composer Jake Heggie. Harris' 3rd is simply one of the most compact, organically taut compositions in the repertoire. It does deserve to be heard more. Harris' other symphonies worth a listen now and then are the 5th, 7th and 11th. The 10th and 12 have not been recorded, or likely even performed in years. There is also a "Bicentennial Symphony" from 1976 (surprise) that has been numbered as # 13 from time to time. Unrecorded and unplayed in years as well. Reviews were not kind. 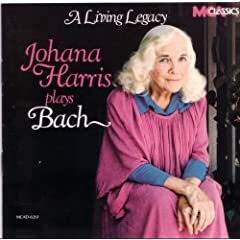 Yes, Johana Harris was his wife, and a very fine pianist in her own right. She left behind roughly 10 CDs of excellent material, only two of which were issued by MCA. Worth listening to, especially her Bach and Debussy. "Johana" is Canadian-born Beula Duffey. 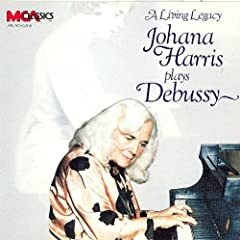 He attributes the success of his Third Symphony (1938) in large part to the most important event in his life, his marriage to a brilliant young pianist named Beula Duffey, whom he later rechristened Johana after the composer he admired most, Johann Sebastian Bach. For the occasion of his marriage, Harris gave his beautiful wife a most unusual wedding gift -- the famous Quintet for Piano and Strings in three movements. I wonder how many of those composers actually heard any of Harris' music, or even had anything to do with writing and sending that message. It was surely a politically motivated cable. Yet, there it is!